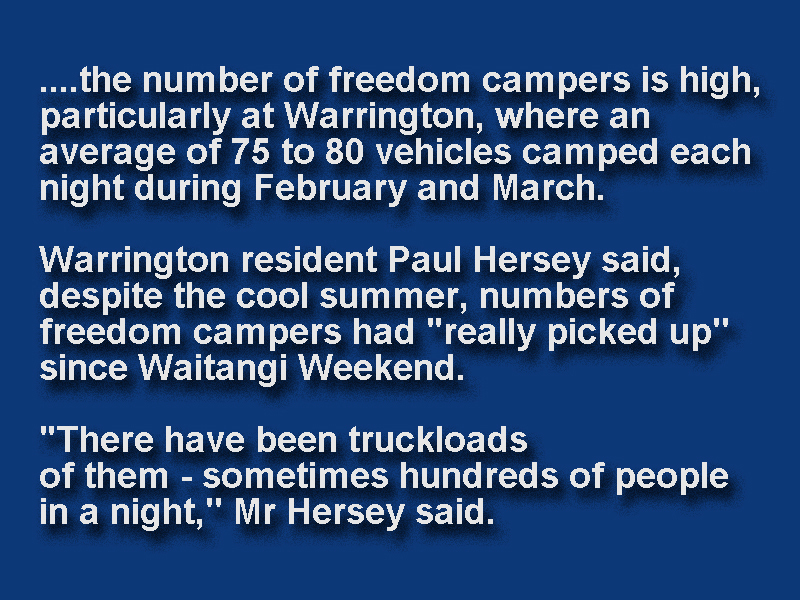 █ For more, enter the terms *warrington* and *freedom camping* in the search box at right. Sat, 17 Mar 2017 at 10:03 p.m. Message: Find attached an outstanding submission on the horse-hating bylaw. 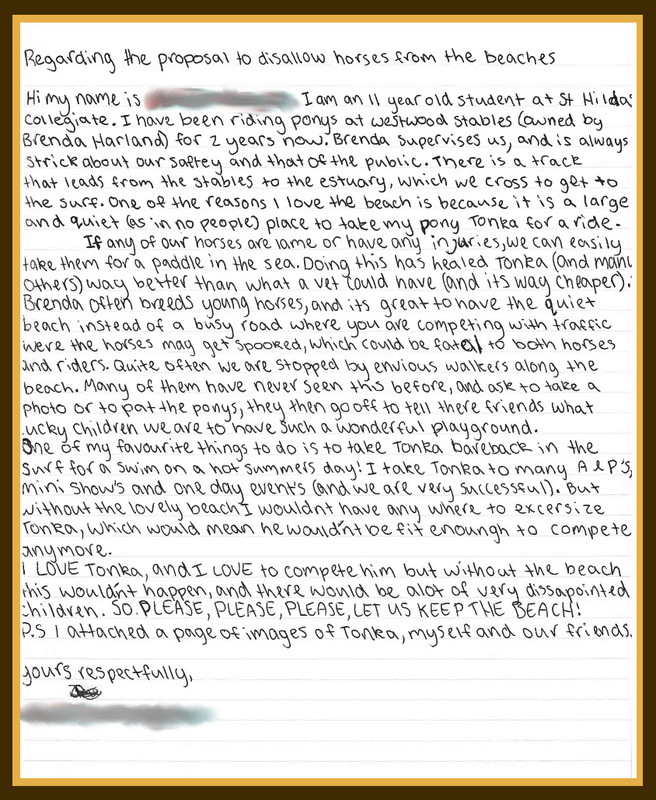 I am sure there were many good subs, but I noticed this one from an 11-year-old who has a horse called Tonka. She makes a very good case for freedom. 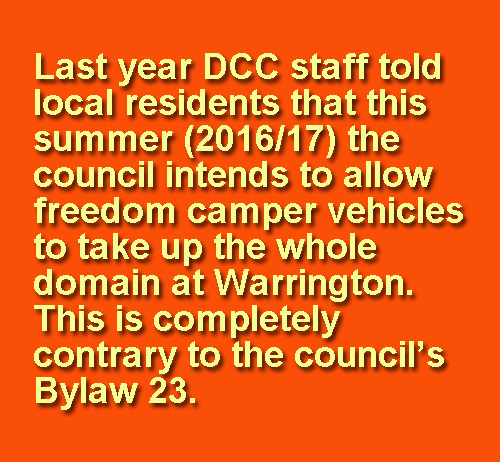 Like many of the other submitters, she bypassed the professionally organised DCC misinformation and understood that the DCC are threatening a total ban on horses on beaches. 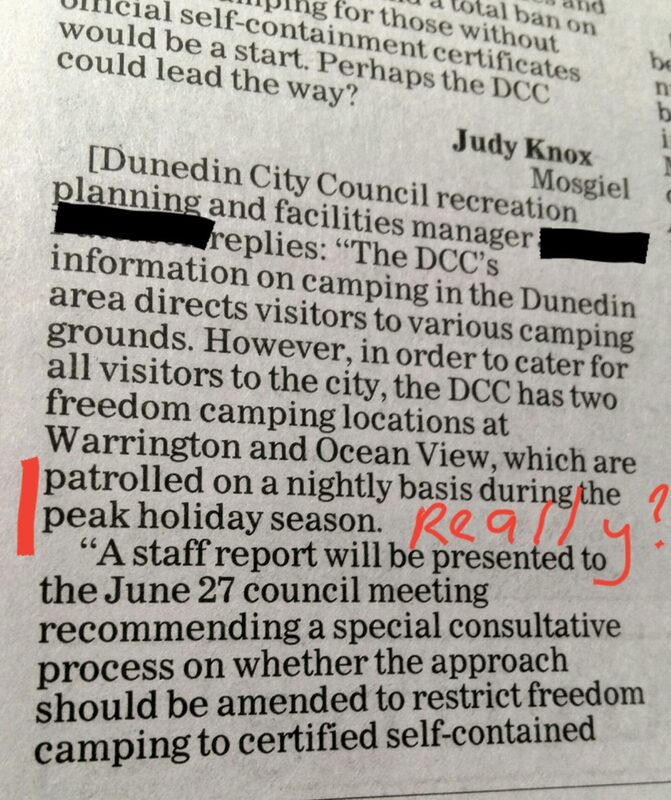 I think other people should see it, I have removed her name from the submission in case she wasn’t expecting widespread publicity. 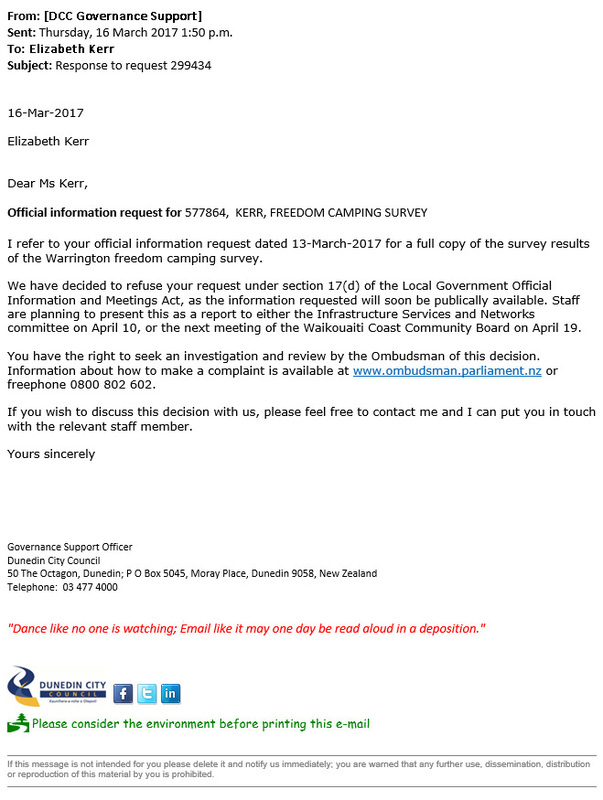 The submitters tell us that no other Council has a ban on horse riding on beaches in New Zealand. 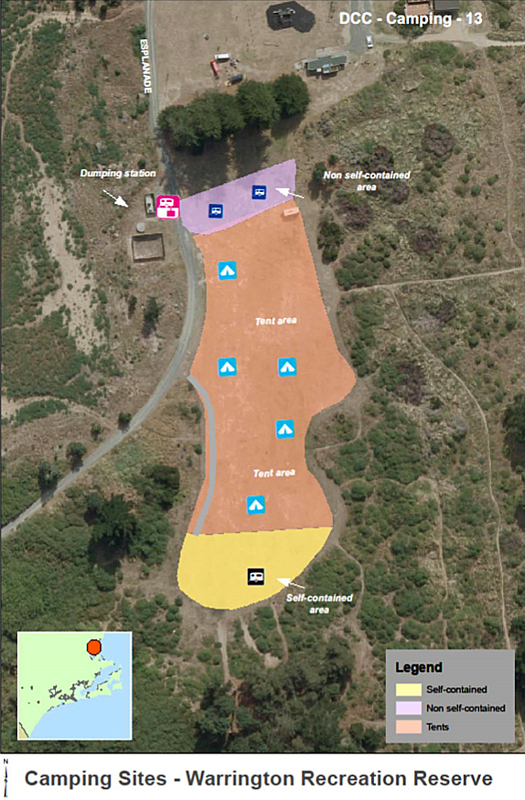 Tue, 14 Feb 2017 at 9:57 p.m.
Due to recent heavy rain part of the domain at Warrington has been fenced off by DCC. 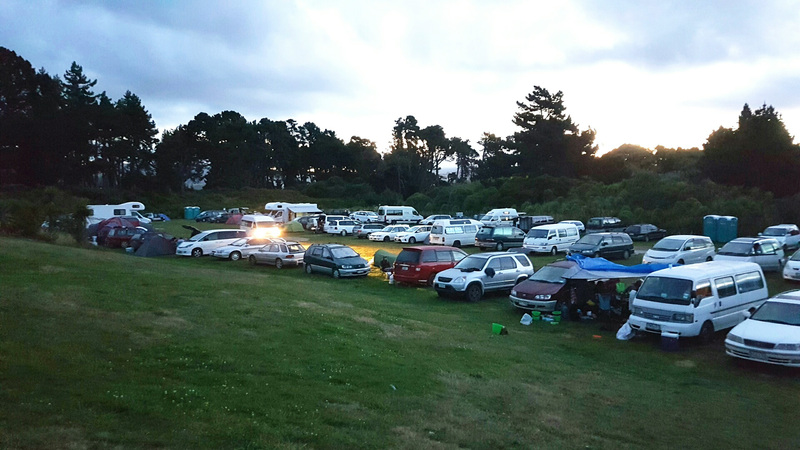 This hasn’t stopped 90 freedom camping vehicles from jamming into the remaining part of the domain ….think of the camp fees greater Dunedin’s commercial campgrounds are missing out on —this is a normal Tuesday night, middle of the week, and 90 vehicles are parking for free in the domain. 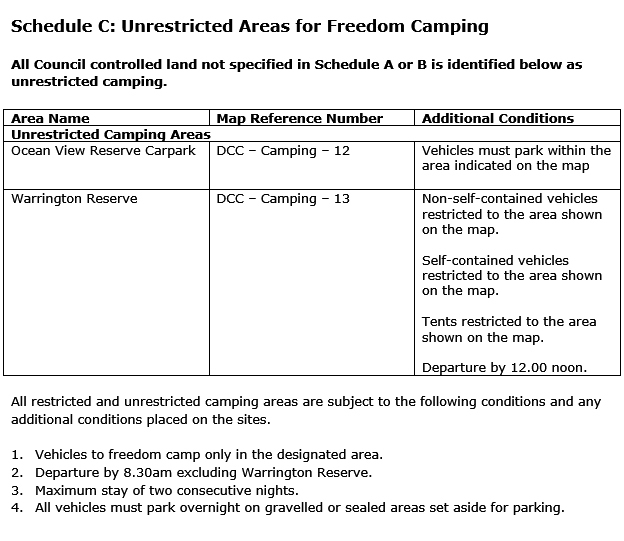 Thanks to Dunedin City councillors and council staff Warrington’s domain has been allowed to turn into an unregulated free-for-all camping site – contrary to the council’s own Camping Control Bylaw 2015. 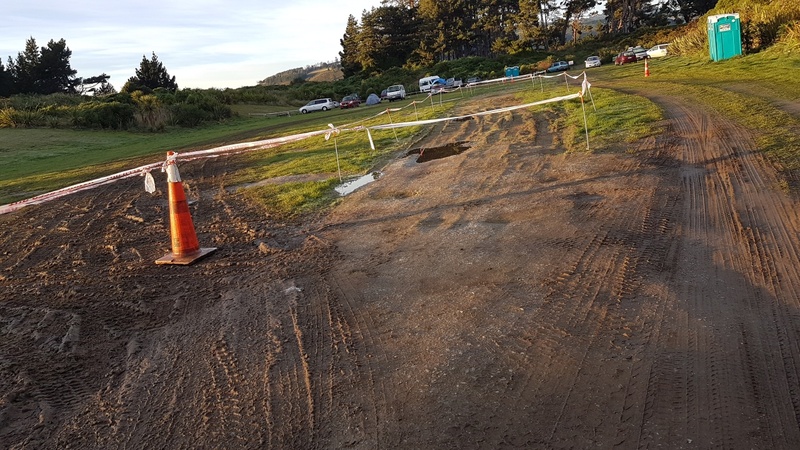 And with so many vehicles continuing to drive on the domain there is less and less grass, and more mud and dirt, and more gravel going to be placed to cover what used to be the local community’s grassed recreational reserve. 1. 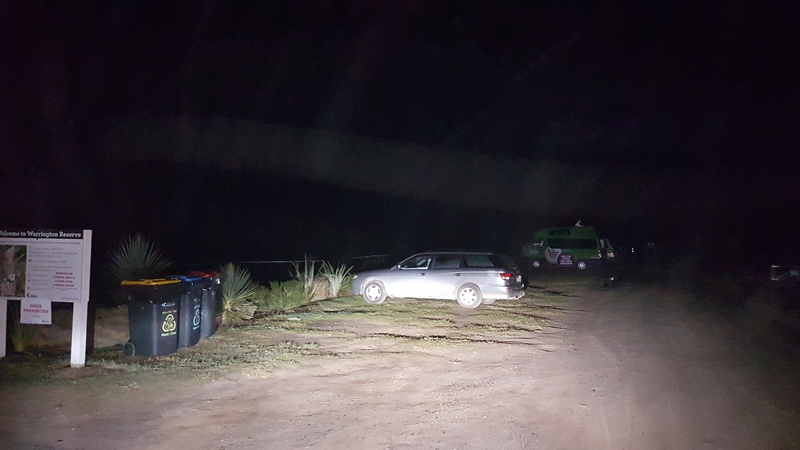 In accordance with section 20(1) of the Act, every person who breaches this bylaw commits an infringement offence. 2. 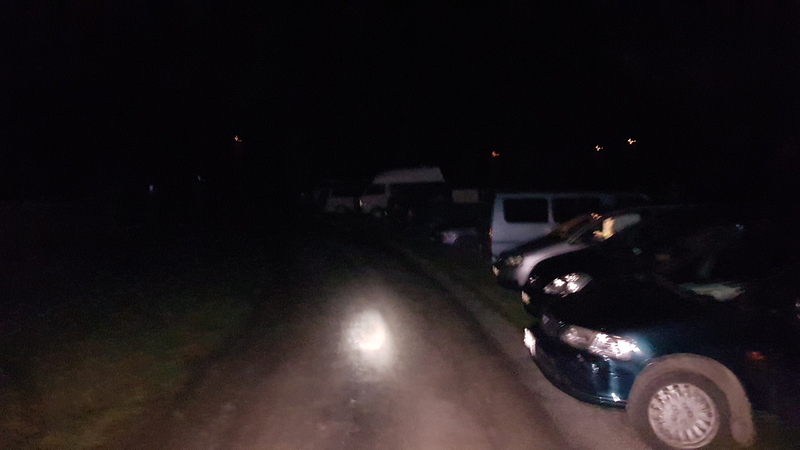 In accordance with section 27 of the Act, an enforcement officer may issue an infringement notice to anyone who the enforcement officer believes on reasonable grounds has committed or is committing an infringement offence as set out in section 20(1) of the Act (a copy of which is included as Schedule D of this Bylaw for information only). 3. A person who commits an infringement offence is liable to a $200 infringement fee for each offence.